I read an interesting article in the Listener a while back about Tait Electronics, the Christchurch, New Zealand based designer and manufacturer of radio communications systems who this year turned 40. The story of Tait Communications, and Sir Angus Tait in particular, is quite a remarkable one. Sir Angus was bought up by his mother in Oamaru, and when his father died in the 1918 flu epidemic, he began working in the local radio shop before going on to become an RAF radio operator in WWII. He came home from the war, set up a company…and went broke. He paid off his creditors, then tried again 2 years later. Tait Electronics was the result, and today it records annual sales of $190 Million in 160 countries worldwide. They invest 12% of revenue in R&D, which is rare for NZ companies, and as a result have a revenue of $300,000 per employee, making them one of NZ’s most knowledge-based companies. 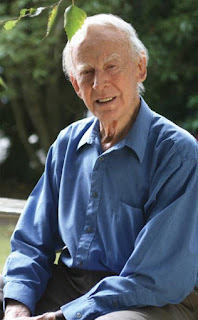 Sadly, Sir Angus passed away 2 years ago, aged 88. I wasn’t lucky enough to ever meet Sir Angus, but I think we can all learn a lesson from him. He wasn’t afraid to give it a go, in fact he failed the first time he did, but he learned, and he came back to create something so wildly successful. I think there is a tendency in NZ to avoid trying anything for fear of failing. But we must, and we must learn from our mistakes. If NZ has another 50 companies like Tait Electronics, we wouldn’t be worrying about Taskforce 2025. "This was the blog of scientist Aaron Small. It has been archived but the posts remain for your reading pleasure." Shaun Hendy on Scared of letting go?